If you or someone you know is charged with, or is being investigated for, a federal or state crime, you need an attorney with criminal courtroom experience. At Utreras Law Offices, our attorneys are former state and federal prosecutors who understand the importance of aggressively attacking the prosecution's case. If you are facing criminal charges, it is imperative that you have an experienced criminal defense attorney as early in the process as possible, to avoid potential pitfalls and mistakes you may commit when first confronted by law enforcement or prosecutors. We work with you to create a comprehensive, thorough defense strategy best suited to your personal situation. For those exonerated of charges or convicted of only certain misdemeanors, Illinois law provides an opportunity to clear your criminal records by expungement or sealing. At Utreras Law Offices, we have successfully filed petitions to expunge and seal for many clients. To determine if you are eligible, contact us for a more thorough evaluation. 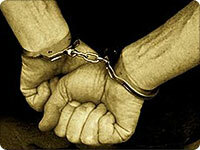 Federal criminal charges are serious and warrant representation by an attorney experienced in federal criminal court. Whether you have received a Grand Jury subpoena to testify or produce records, or have been charged with a crime, the best strategy is to get an experienced attorney involved as soon as possible. The federal government does not wait until you are charged to begin building a case against you that can destroy your personal and professional reputation. Don't delay. Contact Utreras Law Offices to speak with an attorney to help you protect your reputation, rights, and freedom. Under Illinois law, a misdemeanor is a criminal offense that is punishable by up to 1 year in jail. A felony on the other hand may be punishable by imprisonment for one year or more. Defendants may also face fines, probation, community service and/or supervision. With the assistance of an experienced criminal defense attorney, you could significantly increase your chances of receiving reduced charges, a reduced sentence, a "not guilty" verdict, or even a dismissal of your case altogether. We have handled criminal cases throughout Cook, DuPage, Lake, Kendall, Kane, and Will County. Don't hesitate. Contact Utreras Law Offices today to enhance your chances of success in your criminal case.